Reports nationally and locally indicate that the housing market is on track with renewed confidence, due to a strong housing demand supported by the strength of the U.S. job market and low mortgage rates. 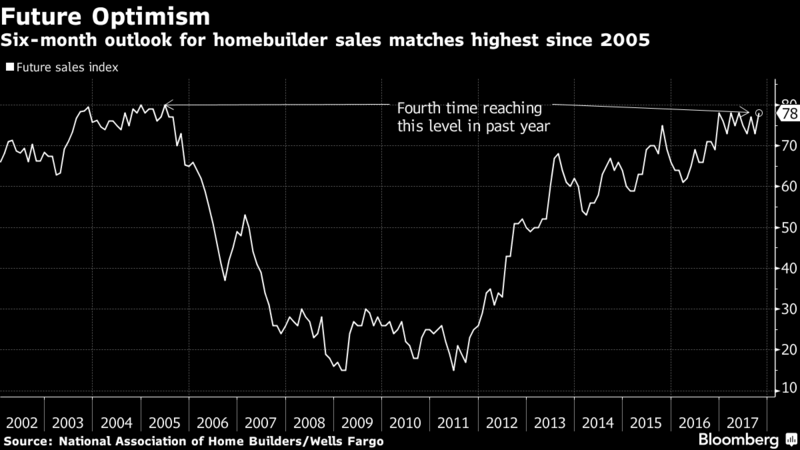 The October Report from the NAHB (National Association of Homebuilders) and Wells Fargo indicated in their six-month sales outlook, a 5-point rise to 78, matching the HIGHEST level since 2005. Chief economist of the NAHB, Robert Dietz, explained that in conjunction with a tight housing inventory, the promising growth of household formation will also strengthen the new home market at a modest rate. The HaMMR (The Housing and Mortgage Market Review) also supported a healthy market at least through the end of 2018. It features a statistical model that indicates an unlikely (4%) probability of a price decline in the 401 America’s largest cities over the next two years. Is there a bubble ahead? Prices are increasing but remain close to historic norms when compared to incomes. After adjusting for inflation, national home prices are still 10 percent below their prior peak. Naples, Florida remained resilient after a three-week slowdown post-Irma. The September Market Report by NABOR (Naples Area Board of REALTORS®) showed a 30% decrease in September closed sales from the prior year. The third quarter of 2017 overall had an INCREASE of 3% in closed sales from the year before. July and August 2017 outperformed 2016 sales of the same two months, which indicates that minus a hurricane the total sales would be an impressive number for the third quarter of 2017. The September slowdown has been short lived, as October sales continue along with strong sales predictions for the colder months. The sales stall was due in part to homeowners doing cleanup prior to listing their homes for sale, and lenders either postponing granting mortgages, and/or ordering home inspections after the hurricane. The hurricane building code standards and the quality of national builders' craftmenship found in Naples area homes withstood much of the hurricane’s impact with little or no damage. In fact, many real estate brokers asserted that Naples survived a direct hit from a category 4 storm, which largely strengthened consumer confidence. That optimism shed its light with the 3 percent increase in median home values from the third quarter of 2016. Naples, Florida continues to be a prime destination for people from around the country and around the world and remains in the spotlight for Southwest Florida living at its best.